Please click to see a larger version. 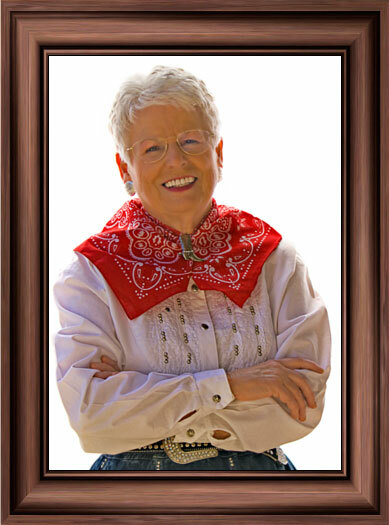 Though Janet does not perform these days, she still appears regularly in fellowship with her colleagues at the Gene Autry Luncheon in Dallas, Texas. 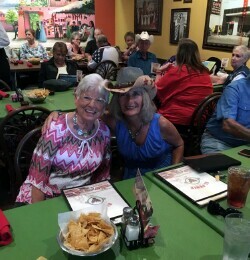 Here she is with a friend during the July, 2018 get-together. 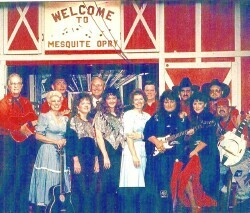 Emma Tucker Dixon started a Mesquite Opry page on Facebook, which you can go to by clicking here. As of April 16, this webmaster was granted administration privileges to that page, which is such a great honor! Many exciting posts are planned. Picking sample songs from Janet's newest CD was a difficult task, as there were so many favorites. Chosen were two that were not already on this website. You can click the little speaker icons to listen. Note from the webmaster on "hurtin' songs:" on the inside of Janet's CD, Tex and Mary Schutz refer, with great reverence, to Janet's "crying-hurting" songs. After years of theological studies, this webmaster would like to point out that these songs suggest a Standard of Right-ness. In each one that Janet wrote, there is the teaching that a happy relationship, with loyalty and dedication, are the Right way to enjoy Romance. Congratulations to Janet for finally meeting her John Ingram--who fulfilled, for her, that teaching. We will forego placing these on our Audio Page until after the webmaster has upgraded his computer system. 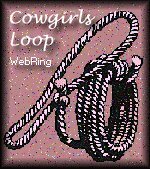 Want to get your cowgirl site in the Loop? To send an Email, please click the mailbox above. This site is best viewed on a maximized browser with a minimum monitor resolution of 800 x 600 set to a minimum of High Color.